But what is the solution to this problem? How can we stop rhino poaching? How can we ensure that wild rhinos are allowed to survive into the future? Perhaps you have heard or read some information on this issue. There is a good chance that much of the information you have is either wrong or misleading. And poor information leads to poor decisions. Rhino poaching is driven by economic forces. If we really want to save the rhino, we must understand how those forces work and look at examples of success stories to see what we can learn from them. 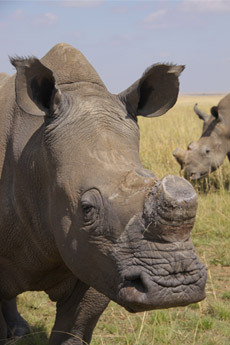 For detailed information on the world’s different rhino species, please follow this link to the Rhino Resource Center.